l. to r. Ralph Allen, Johnny Fitzgerald, French Angel, Joe Perlove, and Hal Walker. Frank Tunney is at far right. 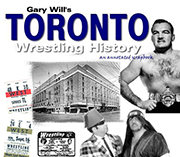 In Toronto from the late 1930's through the early 1960's the wrestling coverage in the Star was mostly written by sports reporter Joe Perlove. 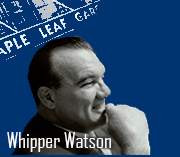 He would rate high on a list of great Toronto sportswriters, of which we have had many notables. His wrestling roundups were a thing of beauty, humorous but not deprecating, filled with 'Perlovese'. You could fill a book with them. 'Should the good citizens of Montreal bump into Yvon Robert within the next couple of days they will probably notice that his left arm protrudes at least a foot out of the end of it's sleeve. Do not be alarmed messieurs, his sleeve hasn't shrunk. Neither is he having glandular trouble. 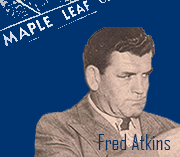 It's just the result of his bone-bending encounter with Ed Don George at the Maple Leaf Gardens last night. 'You would think that after seven years of viewing wrestling matches no matter how quizzically. I would have been a witness to every sort of windup even the most mentally acrobatic script writer or the most ingenious of grapplers could devise. You would think that. And so did I. 'Cowboy Hi Lee, a fair sort of rodeo performer without a horse, will have to admit that Whipper Billy Watson is the champion steer-bulldogger without a steer he ever did see. 'If you're a good guy fan in the rassling business you need 11 hearts to last through the evening. 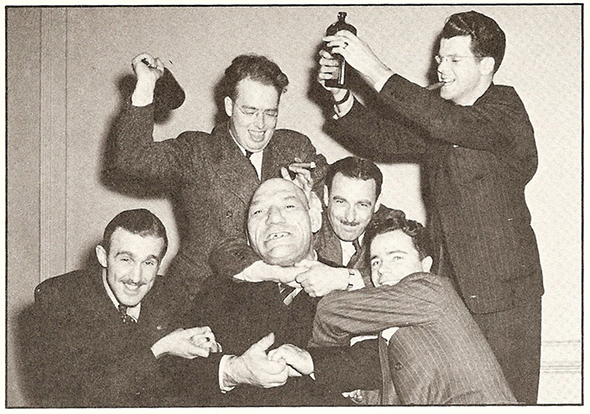 He was close with Frank Tunney attending the 'clambakes' held at the King Edward hotel where much of the wrestling and boxing business went down. Tunney had a good relationship with many of the writers in the city, some of whom would be fixtures around the wrestling office. The sports coverage in those days was huge compared to later era's. 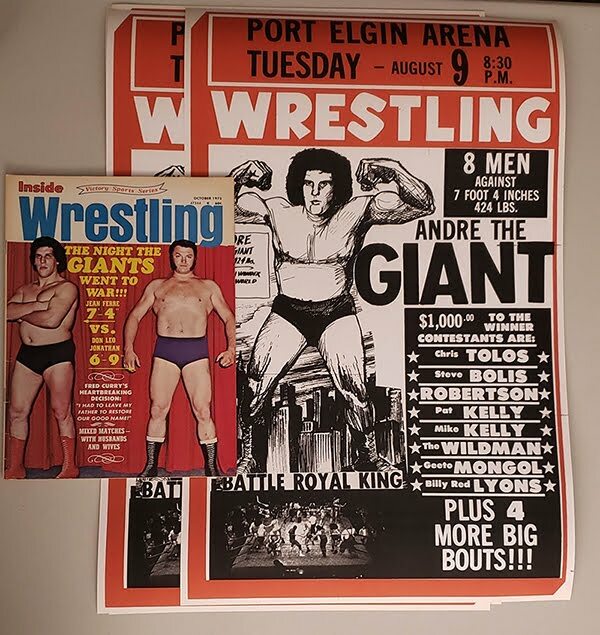 Wrestling was covered daily in some form. Ads, writeups, photos, news, results. 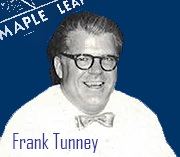 Frank Ayerst who worked for the Star was Tunney's publicist for many years. The main photo above is all writers, save for Angel and Tunney. 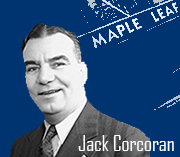 There was also a crossover between Wrestling and horse-racing going back to pre-Tunney promoter Jack Corcoran who was heavy into the racing game. Others around the office including close friend to Perlove boxing promoter Jack 'Deacon' Allen, either owned horses or were frequently involved in some way. They dedicated a journalism award and named the annual Jockey Club dinners in his name (ran to 1976) as well as a trophy for Canada's top jockey. The Joe Perlove scholarship is still awarded at Ryerson.